Posted February 23rd, 2017 by Kirti & filed under AdWords Tips, PPC Audit. PPC audit is a key task for advertisers. To withstand the competitive winds, advertisers must not only optimize AdWords account (auditing campaign settings, ad copy, keywords, targeting etc.) but also audit the competitive landscape. Doing this ensures that you don’t stay behind the competition and have a complete know-how of your competitors PPC activities. It also lets you plan your campaigns effectively as you understand what your competitors are doing and can improve upon the missing areas. So, what all must you look at while reviewing your competition. You would wish to know who all show up for the keywords you are interested in bidding for. It might help you determine you exact competitive landscape which were previously limited. The more competitors you identify the more prepared you will be. 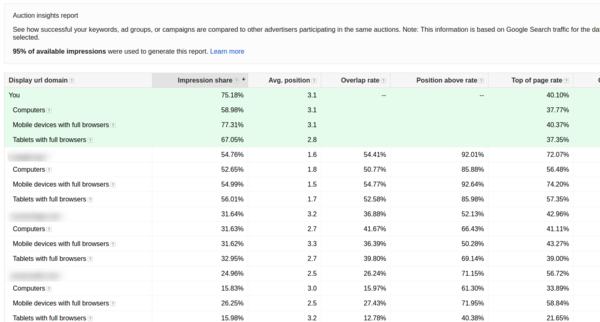 You can use the free AdWords auction insights to find out the competitors in the auction and how they are performing against you. You can find out their device strategy as well as their day-wise strategy by segmenting as per Device and Time. What ad messaging are they using? It might be good to know how your competition is positioning themselves to drive conversions. Are they highlighting an offer or are they countering your message? What ad extensions are they using? All these questions will help craft your ad better so that your ad stands out from the clutter. You can use the free AdWords Ad Preview Tool to find out what ads competitors are showing and whether your ad shows for the same keyword. If your competitors are using different ads based on the location or device. What landing page do the ads lead to? You might also want to look at the landing pages linked to your competition’s paid ads. What are they communicating in their pages that will drive customers to complete a conversion? What should you incorporate in your lading page that your competitors haven’t? Reviewing this will help you improve your click to conversion rate. What keywords haven’t yet been targeted? You can identify opportunity in keywords that are similar to you target keywords but haven’t yet been targeted by users. One way to get suggestions for this is through Google’s Autosuggest option or the ‘Searches relate to‘ option at the bottom of the SERP. 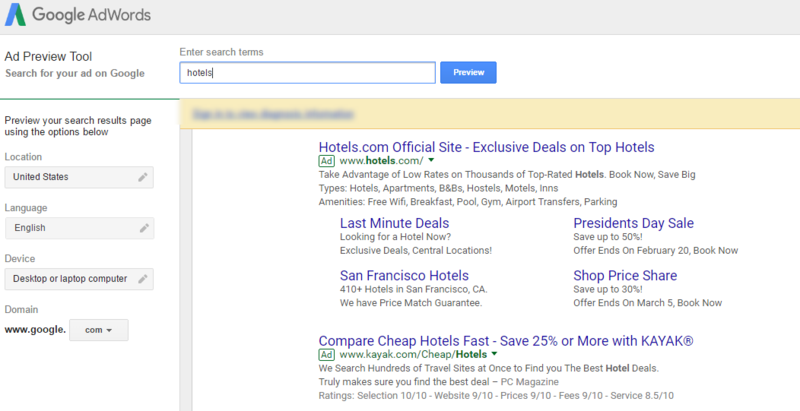 How should you do PPC audit for your competition? There are many online tools available that help in unlocking the competitive information. You might want to save time and get acquainted with any of these platforms to make your competitive analysis more concrete. These tools can help you figure out the keywords your competitors get traffic for, the ads being shown for their paid keywords, conduct keyword research to ascertain competitiveness etc. The next step would be to monitor the results and narrow down the changes you must incorporate in your PPC account. Your competitors are a great source of information, so as much as your own expertise counts so do theirs. 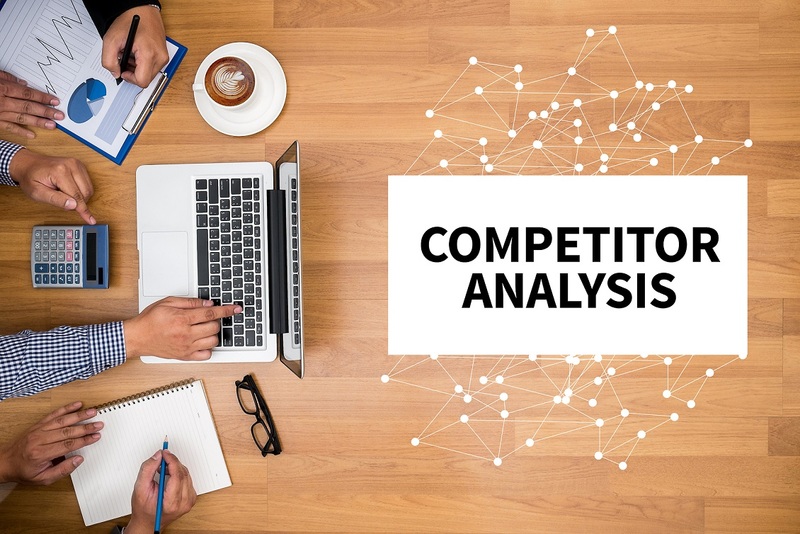 Make competitive research and audit a regular affair to identify the new competitors trying to outshine you and stay ahead of the existing ones. How To Audit Your AdWords Account For Ad Extensions?